You don’t tell the feisty Tara Macri she isn’t a “10.” She may just hit back at you, with a song. As the Mississauga-born singer-songwriter and actor explained during a visit to the Metro office, being told she wasn’t a “10” was undying muse for her spirited first single, Strawberry Moon. “Although I travel a lot for work, my home base is in L.A. now. Having the challenges in the business in L.A. and overcoming the challenges is what Strawberry Moon is all about,” said Macri. What also emerged while Macri was fleshing out the lyrics was that, now matter how many times you get knocked off your feet, hope reigns supreme. “Strawberry Moon is also about not having any regrets and just going for it. No matter what has happened or what has knocked you down, you continue to move forward,” said Macri. 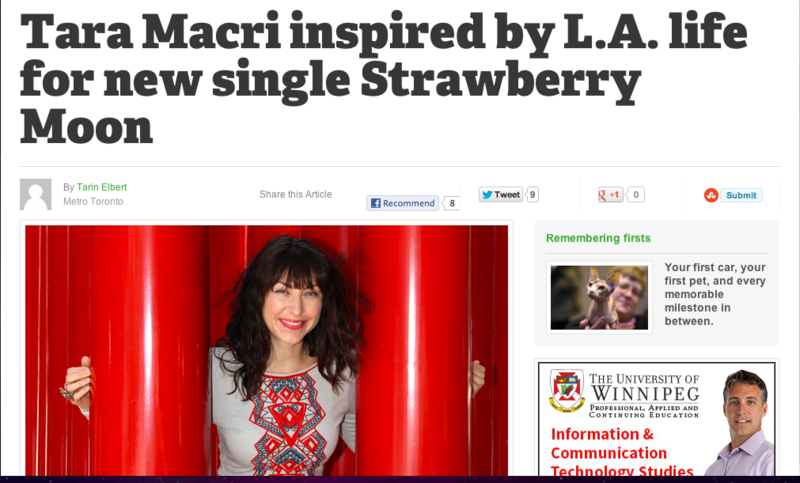 The tracks for Macri’s new album – she also plays guitar and piano on it – are in the bank and it’s expected to drop early in 2013. Although record labels approached her, she decided to stay on the independent route. It was during rehearsals for the album that she decided to record a cover of Justin Bieber’s massive hit single, As Long As You Love Me. “I am fan of Justin Bieber, and it’s a great song, so I decided to strip it down and see what it would sound like with just acoustic guitars,” she said. Despite Macri’s successful career in live theatre and film – she got her first break at 17 in a Stratford production of West Side Story — music has always been her first love. She credits Toronto-based rockabilly legend Ronnie Hawkins as helping to put her family at ease with her dream. Up next for Macri are club dates with a seasoned group of musicians, to add to her performances in New York City, and more are planned for L.A. There will also be a Toronto date, sometime in the next few weeks, she adds secretively. Expect an announcement shortly. 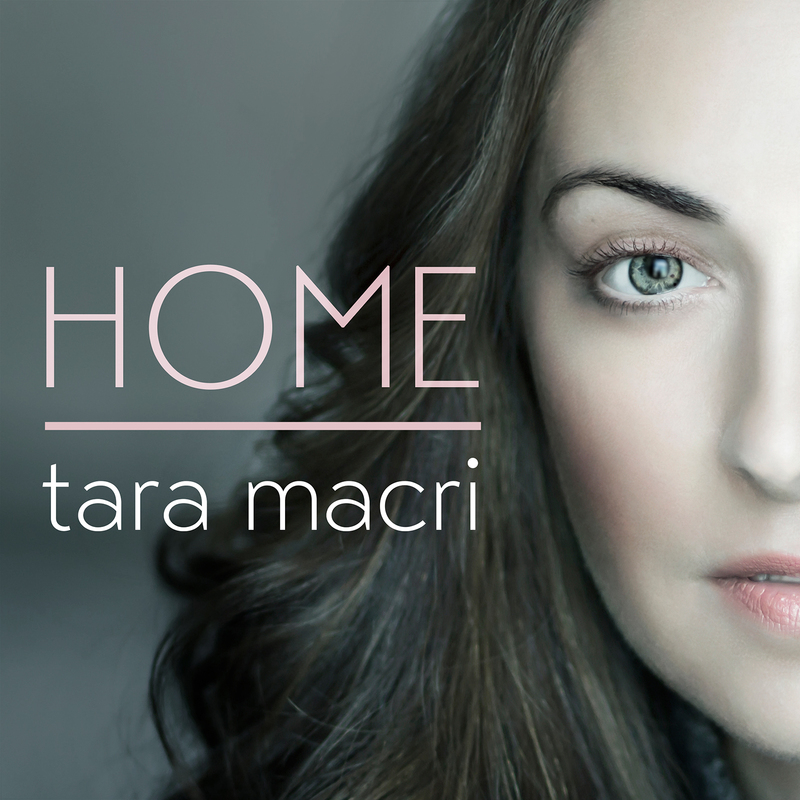 Tara Macri has racked up an impressive list of credits, including Evil Dead: The Musical,Hairspray (both in Toronto and in the U.S., and in films such as All Around the Town and Under the Piano.